Making holiday treats is one of my favorite traditions of the Christmas season! This recipe of my grandma's soft, chewy, and creamy caramels is definitely a well liked treat among my family. I have so many memories growing up of family getting together to make a variety of holiday treats for the Christmas season. All of us cousins, sitting around grandma's table wrapping the individual caramels and talking about Christmas was something I looked forward to each year. Today, Grandma continues to make caramels with help from several family members that would also like some. If you read my last recipe post, I mentioned what we did growing up to say Merry Christmas to our neighbors and service workers. 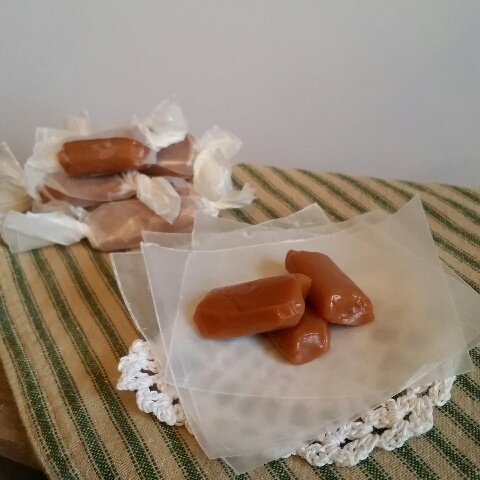 I have continued this on a smaller scale with my kids and include these homemade caramels in my goodie packages. My oldest son especially loves these caramels too! They are great to give several by themselves, or use them in other Christmas treats you might want to make, like turtle candies or inside cookies. Add them to a mixed candy/cookie tray and take to work, give to your everyday service people, neighbors and friends. 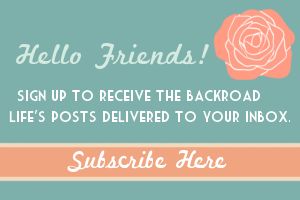 Package up several in a small mason jar and they are great teacher gifts as well. So let's get to the recipe of these creamy homemade caramels! -Wax paper cut to wrap bite size pieces. roughly 4"x 4"
-Mix syrup, sugar and 1 pint whipping cream together in pressure cooker pan. Cook on medium heat to "soft ball" on thermometer. Stir occasionally. -Add 1 pint cream and stir in while pouring. Cook to "soft ball'. Stir more often. -Add the last pint of cream and stir while pouring. Cook to 242 degrees F. Turn off heat. and stir in paraffin chips until completely melted. Stir more often so it doesn't burn. 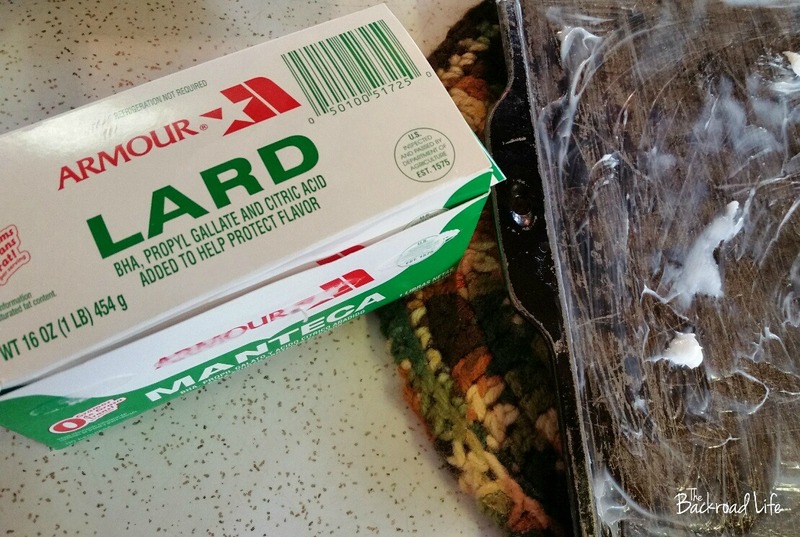 -Pour into a large cookie sheet greased heavily with lard. -Cool, cut into bite size pieces, and wrap with wax paper. 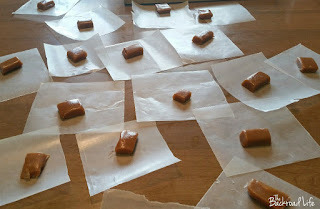 -When caramel is cooled, wipe top layer of wax off with paper towel. 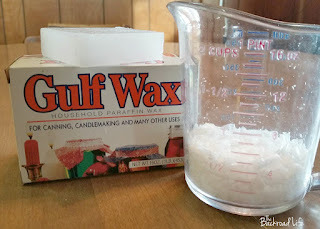 This helps get excess wax off the caramels. 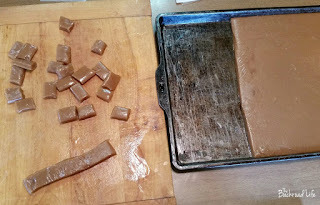 -Making the caramels takes a good hour to hour and half for cooking start to finish. Plus about an hour to cool. -One batch makes approximately 5 lbs of caramels. how,? .. At the start of every new year, it's a chance for a new beginning. 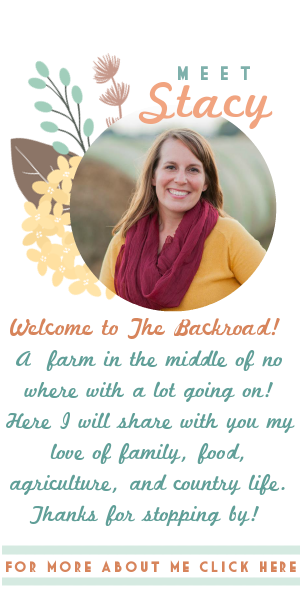 Whether you are starting a new fitness journey, personal growth journey, or health journey (I talked loads about resolutions when I shared my candied almonds recipe and best serger machine), the beginning of a year is a fresh start.